San Francisco has the last manually operated cable car system and is a city icon. The current fare is $7 for one-way tickets, or $17 for an all-day pass. The two main lines start at the busy intersection of Powell and Market make their way to the Fisherman's Wharf. They give the riders unparalleled views of not only Alcatraz and the bay, but also Lombard's Street, considered the "world's crookedest street." For best views, make sure you're on the side facing the bay as you take in the unique look of these extremely steep streets. 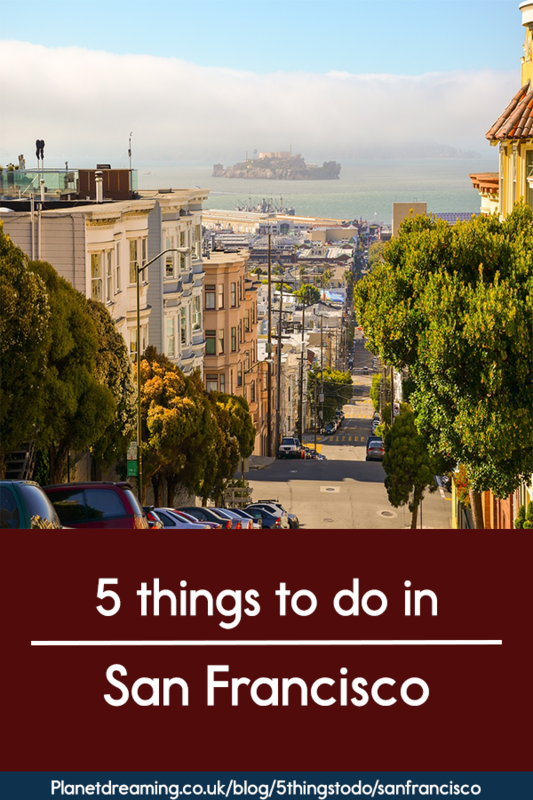 The San Francisco Piers boast popular attractions like the popular Farmer's Market, the Exploratorium Science Museum, water taxis and bay cruises, sea lion colonies, and even two World War II ships to climb aboard. 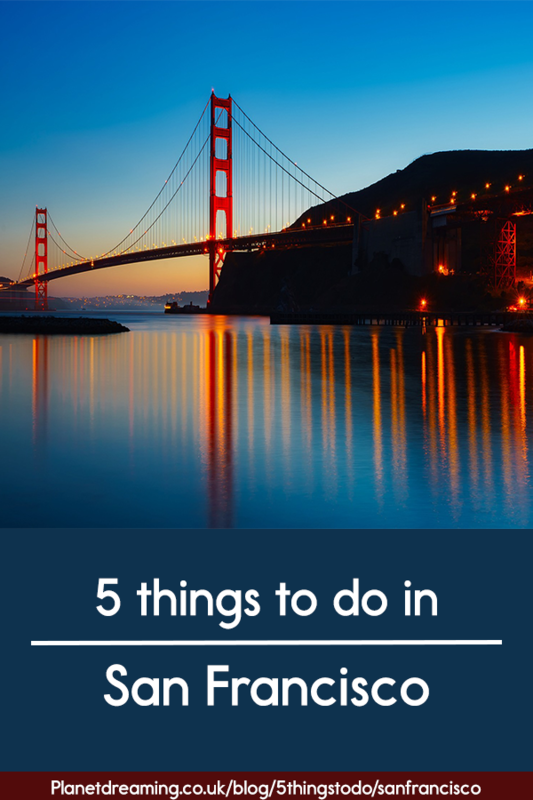 Pier 39, in particular, is known for great shopping, top seafood restaurants and abundant street entertainment. Bring a windbreaker - even on warm days the pier can be chilly with the bay winds. To escape the busy atmosphere of the crowded city, one only has to go 30 minutes north to Muir Woods. Known for its magnificent redwood trees dating between 500 and 800 years old, this 554 acre area is part of the Golden Gate National Recreation Area. The main trail begins at the entrance and follows the Redwood Creek. Try to get there early in the day or closer to evening before it closes at 8pm to avoid crowds that can appear during the middle of the day. Make your reservations early, for the boat tours from Pier 33 that actually land on Alcatraz (as opposed to sailing around it) fill up quickly each day. Be sure to take advantage of the walking audio tour of the prison, which is a well done narrative detailing the history, architecture, stories and most famous inmates to reside there. Afterward, enjoy the bird, marine and animal life abundant on the island. The boat ride back to the city affords some magnificent views of San Francisco's skyline. The symbol of San Francisco, the best way to experience the Golden Gate Bridge is on foot or bike. All varieties of bicycles are available for rental nearby. It's a steep ascent to the bridge itself, but the views are worth the effort. The dizzying height and cars rushing by will remain in your memory far longer than it takes to get to Sausalito on the other side. There, take some time to peruse the quiet shops before heading back to the city on a ferry. Huge thanks to travelmavenmama.com for writing this great post.